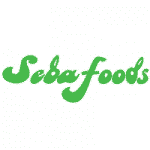 Seba Foods Zambia Limited is a Zambian registered company incorporated in 1997 and a renowned producer of maize and soya based consumer food products. Over the years, the company`s products have become house hold names in Zambia, priding themselves in very high-quality products through well-known brands such as Golden Goodness and Instant Thobwa. Seba Foods Zambia is committed to producing high quality food products only from the finest quality soya beans and maize, sourced from local farmers in Zambia. The company`s ethos of providing the best possible quality from seed to the shelf has over the years been a proven mark for the brands and has been enjoyed by many in Zambia and beyond. Reporting to the Factory Manager, the Silo operator will be responsible to manage 4 x 4000tons of galvanized steel silo’s, to meet the commercial requirements of Seba Foods’ whilst maximizing efficiency and upholding quality, health, safety and environmental standards. Operate and maintain full PLC system. Operate cleaner by insuring correct screens is fitted for correct product. Housekeeping, insuring all silos and Elevators are locked at all times. Insuring correct product movement to avoid mixture of product at all times. Excellent communication skills and the ability to build effective working relationships both internally and externally. Build a network of relevant role-players both within and outside the organization. Build an appropriate image for the company and broader organization. Formulate a budget and understand and work closely to deliver that budget.